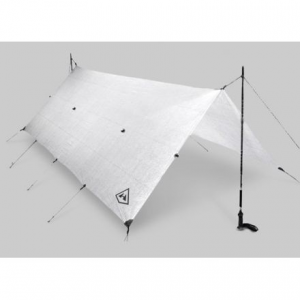 Big Agnes Onyx UL Tarp - The Big Agnes Onyx UL Tarp is the go-to tarp for the thru-hiker, minimalist, or ultralight connoisseur. 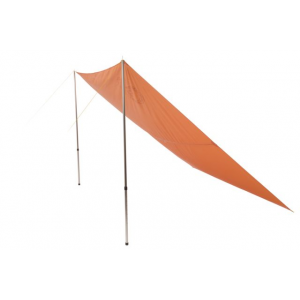 Barely weighing more than your key chain, this easy-to-use tarp can be set up in multiple configurations. 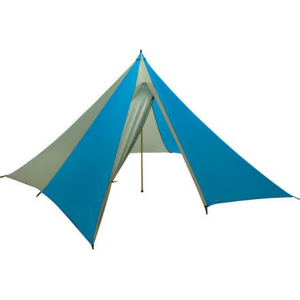 Big Agnes Camp & Hike Onyx UL Tarp TOULT17. 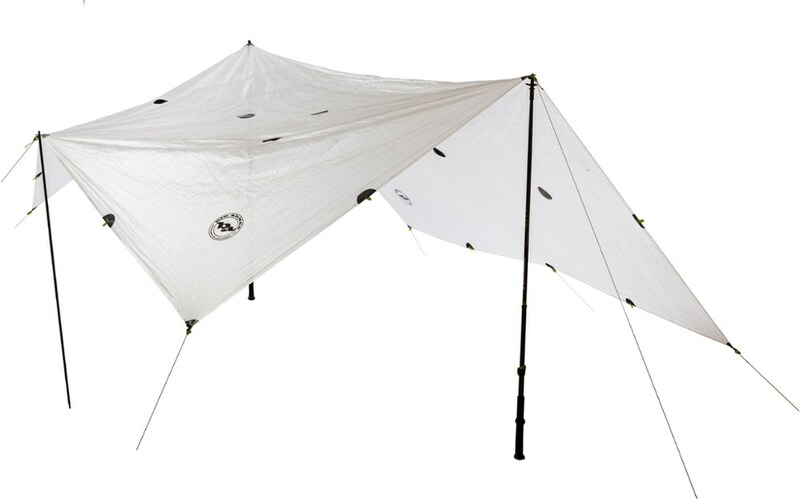 The Big Agnes Onyx UL Tarp barely weighing more than your key chain is easy to use and can be set up in multiple configurations. 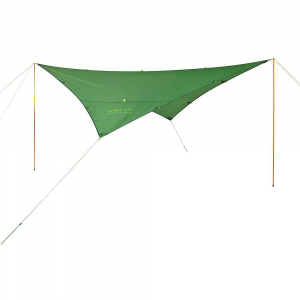 The Onyx can be tied over a hammock pitched over a sleeping bag erected high over a kitchen snow pit or used as an emergency rain shelter over your raft and can be stowed away in the smallest of spaces. 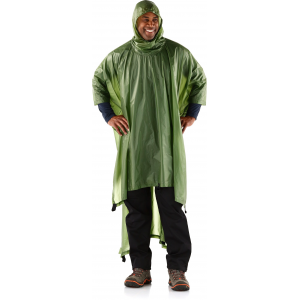 As versatile as a utility knife--and weighing roughly the same amount--the Big Agnes Onyx UL Tarp can easily be set up in a wide variety of configurations, making it a must-have for any thru-hiker, minimalist backpacker, or ultralight enthusiast. You can pitch it over your sleeping bag on the trail, tie it over a hammock, or create an emergency rain shelter for your raft, and it's ultra compact when packed away, allowing you to tuck it away into the smallest of spaces.